Kailey J. was the first to ask about it a while back and since then I’ve gotten a lot of requests to look into things and see if there’s any truth to it. 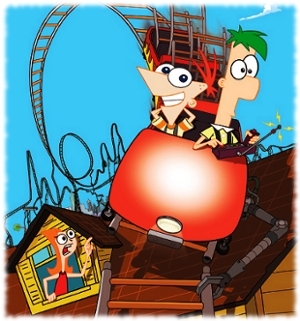 So Phineas And Ferb is a cartoon that features two boys on summer vacation who make amazing inventions in their backyard, like roller coasters that go into outer space and giant robots. Phineas is a confident genius and Ferb is a quiet but also brilliant kid. Their sister Candace is always trying to get the boys in trouble with their mother for all the outrageous inventions they build. But their mother can never quite seem to see the inventions, eternally frustrating Candace. However, The Phineas And Ferb Theory says that there’s another side to the show and it’s very dark. 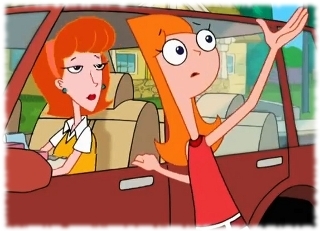 The Phineas And Ferb Theory says that (like Angelica in The Rugrats Theory) the real Candace has lost her mind due to bad things happening in her life. The theory says that Phineas was her little brother and he was bullied a lot in school because the other kids thought he was too nerdy. One day a bully punched Phineas in the head really hard and it killed him. That day changed Candace forever. Candace couldn’t deal with Phineas’ death so she built an imaginary world where he was still alive and playing with her other brother Ferb. 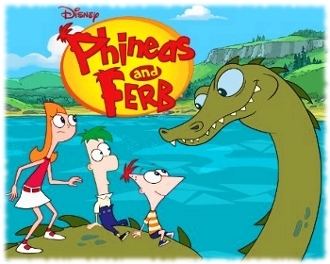 Ferb has a disability and can’t talk or do much, but she imagines him and Phineas going on great adventures together. The real reason why her mother can’t see the things that Phineas and Ferb build is that, well, they simply aren’t there. And the more Candace tries to convince her mother the more crazy she becomes. The villain of the show Dr. Doofenshmirtz is actually Candace’s psychologist who she’s been seeing twice a week. It started to put a strain on the family to try and pay for all these expensive doctor visits though. In desperation her mother had an idea to write down all the fantastical stories Candace was telling her and try to sell it to Disney as a show, and it worked. So that’s The Phineas And Ferb Theory, but is any of it true? The true story of Phineas And Ferb actually does come from a real person who built imaginary worlds, a boy named Dan Povenmire. As a child Dan Povenmire was an artistic prodigy that was obsessed with drawing cartoons. His mother recognized his creative abilities and always told him to “never waste a day of summer”. He took this advice to heart and spent his summers inventing elaborate creations for the different stories he was imagining. He never lost his mind in his imaginary world like Candace in theory story though, because it came from positive experiences. So later on when he created Phineas and Ferb with a friend, they both agreed that the show would focus on the positive. 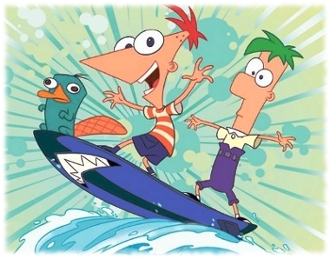 Phineas and Ferb make inventions for the pure fun of it or to bring happiness to others, and in this way find great adventures in each day of summer, despite their sister Candace’s attempts to foil their plans. Yeah I was surprised that there actually was a true story behind Phineas And Ferb, it’s always fun to find out the true story behind things like that :). what did you mean true story? did you ask the creators or did they admit it? internet? or a made up story by you? i dont know its just been bugging me, i just want the truth. She means that this story is a real life thing that happened in Russia. No, that’s not what I was saying at all. The story happened in the US. If it had really happened, sure it would have been included on the show’s Wikipedia page? Why are you all so gullible? If this was really true then phineas’ mom would not see them or even talk to them .it really was a good theory but some parts dont add up. Actually I didn’t come up with theory and didn’t say it was true. Read the last part of my post for the true story that I found behind the show. Candace needs to take her psych meds ! She did, but it made it worse. She ended up killing herself. Glad you liked it Jami! Happy to hear that you liked the Phineas And Ferb story. And yeah I feel the same about conspiracy theories, the crazier the better :D.
The real Candace is Dan Povenmire’s sister, and she is still alive and well with kids of her own. I think a lot of the ‘theories’ that are out there about tv shows are just people trying to come up with interesting alternate realities for the shows. But…I’m sure there’s people out there simply doing it to upset others too. If you read down to the last part of the post you can see the actual true story behind Phineas And Ferb though and luckily there’s nothing childhood ruining about the true story :).